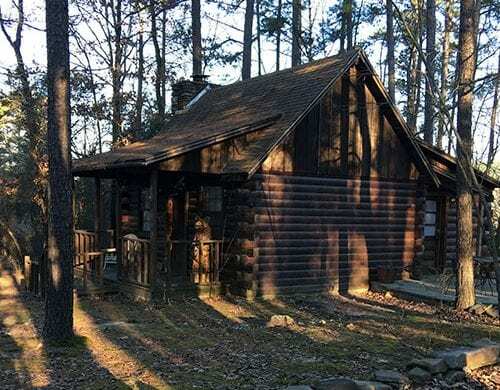 The Quachita Cabin is a quaint cozy cabin which offers a therapeutic walk in tub which none of the other cabins offer. It also is on one level which is very intensive to people who have problems with steps. The Quachita is closer to the Lodge but also to Eagle Creek. It has a stone patio with table, chairs and a deck which holds one of our largest hot tubs. The fire pit sits out back in the midst of the woods. If you like cozy; this is your cabin and also the only cabin which has a lower price.